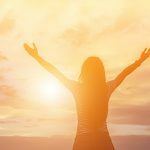 Vitamin D3 vs. Vitamin D2 – What's the Difference? 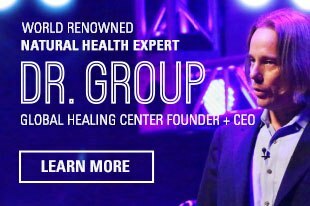 Known as the "sunshine vitamin," vitamin D is among the few rockstar nutrients that have garnered national attention and research funding within the last 10 years. Studies continue to show its effectiveness for promoting normal blood sugar, immune health, and positive mood. Sales of vitamin D supplements have skyrocketed thanks to the surge of coverage in the media concerning this “miracle” nutrient. Despite this, vitamin D remains elusive to many. 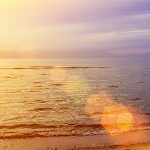 Inadequate intake of vitamin D has become a problematic issue for people all over the world and roughly half suffer from vitamin D deficiency. Perhaps you've looked into supplementing your own vitamin D needs but were stonewalled by the options; specifically, vitamin D3 vs. vitamin D2. The confusion between the two is very common; let's see if we can clear it up. D2 vs. D3 - Is There a Difference? There are two forms of vitamin D: vitamin D2 and vitamin D3. Both offer benefits, yet only one is more readily absorbed and utilized by the human body. Let’s examine both. Also known as ergocalciferol, vitamin D2 is produced by some plant life in response to UV radiation. Mushrooms are an example, and many food manufacturers take advantage of this by irradiating mushrooms to increase nutrient content. Some fortified foods will contain vitamin D2 as an inexpensive way to boost nutrient quantity. Dairy-free milk (soy, almond, coconut, etc. ), for instance, will sometimes contain vitamin D2 rather than D3, the nutrient that is typically found in most cow dairy. 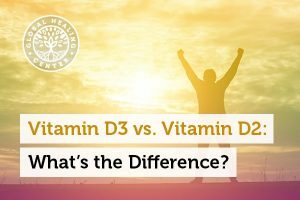 The majority of studies that compare, and continue to compare, the effects of vitamin D2 and D3 all resonate with one statement: vitamin D3 is far superior for the human body. Research over the last ten years has produced an overwhelming amount of evidence that vitamin D3 is better absorbed and utilized than D2. Simply put, if you want the best form of vitamin D, choose vitamin D3. There are only a few sources of vitamin D, and most are [unintentionally] avoided. Let's take a look into the different available sources of vitamin D.
Exposing your skin to sunlight every day can provide an indirect source of vitamin D. While sunlight itself doesn't contain vitamin D, it does promote the synthesis of the vitamin within the body. Healthy sunlight exposure from UVB rays is the ideal and most natural method for ensuring proper vitamin D levels. Unfortunately, most people are cooped inside all day, whether they are at school, home, or work. 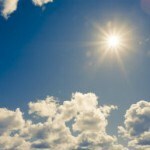 Even in the summer, many people have a difficult time receiving regular sunlight exposure. There are many natural and processed foods that contain both synthetic and naturally occurring vitamin D.  Variety and accessibility to natural vitamin D-rich foods are often the two most common hurdles that bar individuals from receiving enough vitamin D. Vegetarians and vegans usually have a more narrow choice of foods, further restricting the availability of dietary vitamin D.
Obviously if you're following a vegan diet, these aren't viable options. Also, on the subject of non-organic fortified foods, consumers should know that these items are typically processed and contain a number of different ingredients, additives, preservatives, and pesticides. Many fortified, processed foods may also be genetically modified to some extent. That being said, it is best to choose whole-food varieties, as these will typically provide other nutrients and antioxidants in addition to vitamin D. If you must choose a processed food item for whatever reason, make sure it’s organic. Vitamin D supplements are often the go-to source for many people suffering from vitamin D insufficiency. Supplements are easy to use and remove the guesswork of dosing. Most vitamin D supplements use D3, but check to make sure that it isn’t D2. 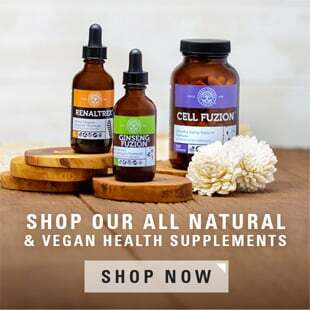 Vegans and vegetarians should always look to make sure their vitamin D3 supplements are in fact vegan, as many D3 supplements are actually made from animal products (sheep’s wool, to be exact). For a vegan-safe vitamin D3 supplement, try Global Healing Center’s own Suntrex D3™. 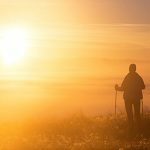 Extracted from lichen, Suntrex D3 is a premium, all-natural, vegan-friendly vitamin D supplement made right here in the U.S.A.
After reviewing all of the available research comparing the effectiveness of vitamin D3 and D2, it is fairly obvious that D3 provides the most benefit for the human body. If you want to live life at your highest health potential, the choice is clear – vitamin D3 is the nutrient you need in your daily regime. Time for you to weigh in. Do you get enough sunlight every day? Do you take a vitamin D supplement? Let us know in the comments! Lehmann U1, Hirche F, Stangl GI, Hinz K, Westphal S, Dierkes J. Bioavailability of vitamin D(2) and D(3) in healthy volunteers, a randomized placebo-­controlled trial. J Clin Endocrinol Metab. 2013 Nov;98(11):4339­45. doi: 10.1210/jc.2012­4287. Bjelakovic G1, Gluud LL, Nikolova D, Whitfield K, Wetterslev J, Simonetti RG, et al. Vitamin D supplementation for prevention of mortality in adults. Cochrane Database Syst Rev. 2011 Jul 6;(7):CD007470. doi: 10.1002/14651858.CD007470.pub2. Heaney RP1, Recker RR, Grote J, Horst RL, Armas LA. Vitamin D(3) is more potent than vitamin D(2) in humans. J Clin Endocrinol Metab. 2011 Mar;96(3):E447­52. doi: 10.1210/jc.2010­2230. Logan VF1, Gray AR, Peddie MC, Harper MJ, Houghton LA. Long­ term vitamin D3 supplementation is more effective than vitamin D2 in maintaining serum 25­hydroxyvitamin D status over the winter months. Br J Nutr. 2013 Mar 28;109(6):1082­8. doi: 10.1017/S0007114512002851.